Virginia lawmakers are receiving fewer gifts in the wake of former Gov. 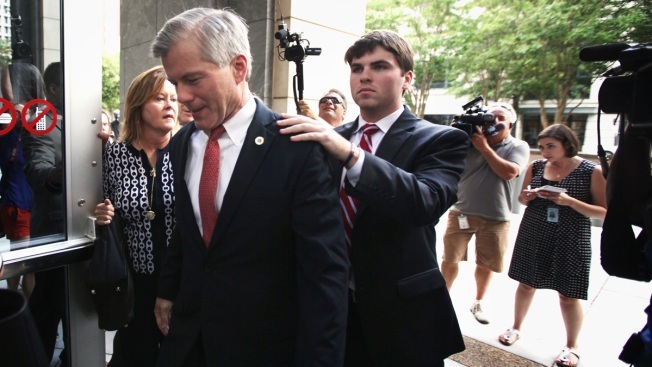 Bob McDonnell's prosecution on corruption charges. The Virginia Public Access Project released an analysis of financial disclosure forms Monday showing that the number of gifts to lawmakers dropped by 27 percent from 2013 to 2014. The decline was more pronounced among Republican lawmakers than Democrats. McDonnell, a Republican, was indicted, tried, and found guilty last year of illegally accepting more than $165,000 worth of loans and gifts from a vitamin salesman in exchange for helping to promote his products. Lawmakers have promised to make ethics reform a key issue of the 2015 legislative session. Among the proposals they are considering is a $100 gift cap.